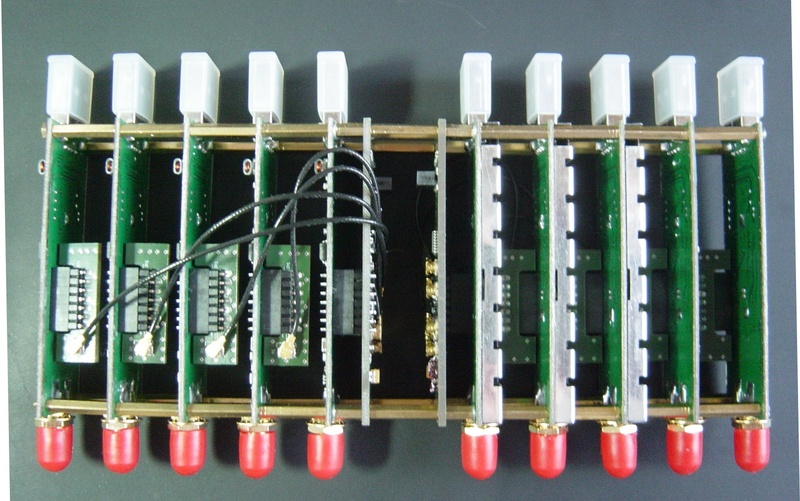 The Advanced Level Coherent Receiver is based on 1 CLK_CARD and 4 EXP_CARDs. 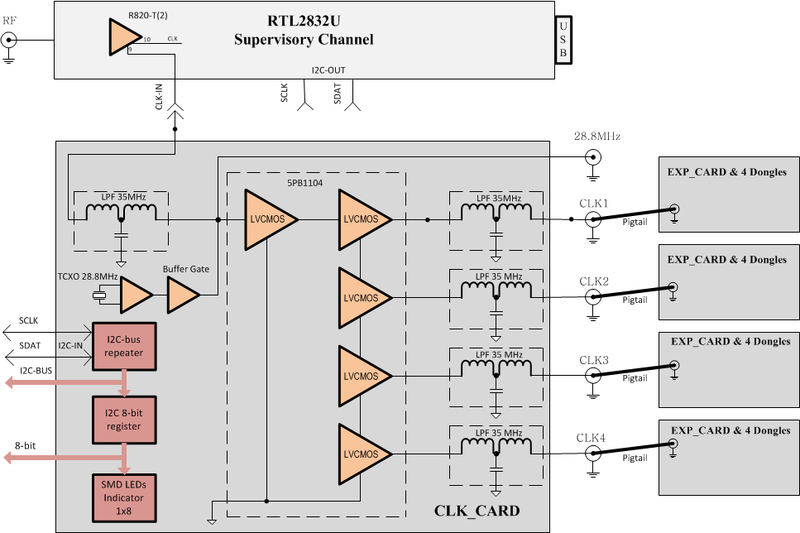 Up to 4 single coherent receivers can be connected either to the CLK_CARD or to EXP_CARDs (see block diagram below for more details). 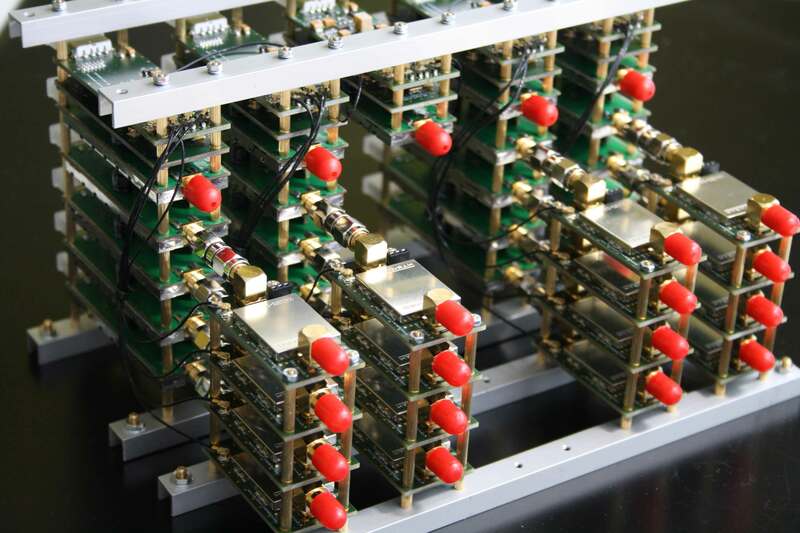 The power supply of the EXP_CARDs can be taken from an external source + 3,3V, or from an additional single receiver. The configuration 1+16+4=21 channels is possible if the power supply results from the single receiver. You can add a further 5 channels by adding one more EXP_CARD and using the output 28.8 MHz. The resulting number of channels will be 21+5=26. In general, you can reach an unlimited number of channels using the EXP_Cards and the tree structure. 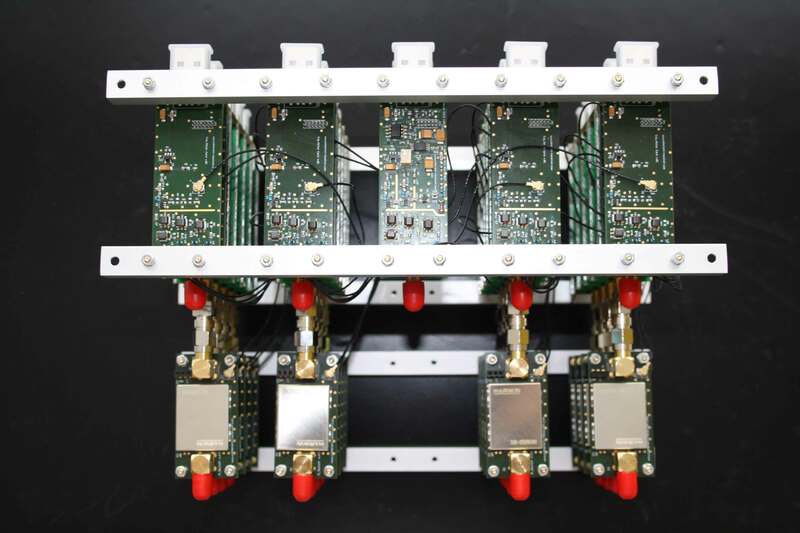 The above presented schema enables the connection to each of the the 16 outputs 4 * 16 = 64 single coherent receivers resulting in a 64 channel coherent receiver. 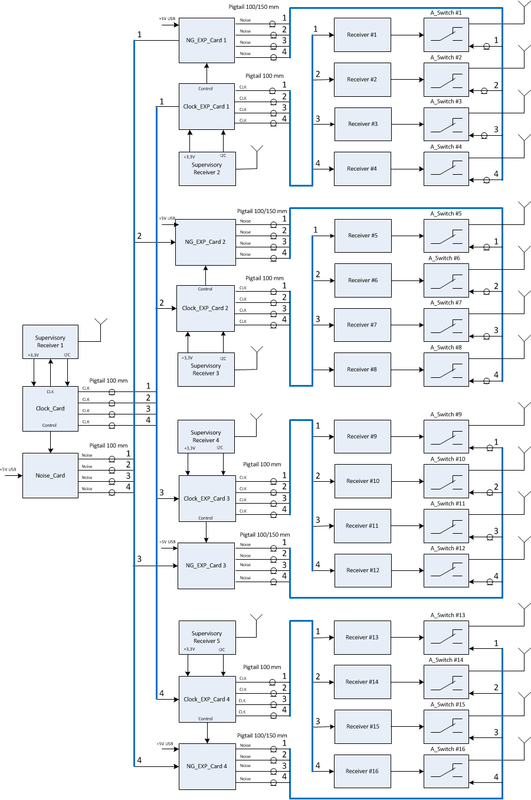 You can connect further 64 EXP_CARDS instead of single coherent receivers which results in the structure of 64*4=256 channels etc. 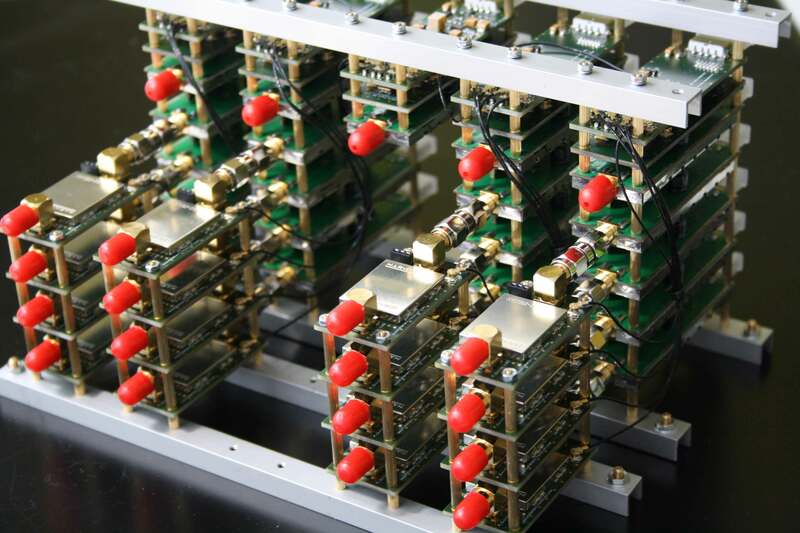 The time difference due to the delays in the different channel groups is constant and can be estimated during the receiver calibration using the external white noise generator (NG_CARD).